Our face often lights up at the thought of securing an awesome gadget or a product that possesses the power to change our lives. Something similar happened this week, so we’d like to share them with you. Here’s what we found. Thinking on our feet, we delved into a search for comfort on the Internet. And boy, did we chance upon something wonderful. Meet Spa Socks, a pair of soothing gel lined socks that will keep your feet moisturised and massaged, especially during those long hours in heels or queues. Bibliophiles can quit using their bedside table amp to read, especially if your roommate doesn’t approve of your night reading habit. 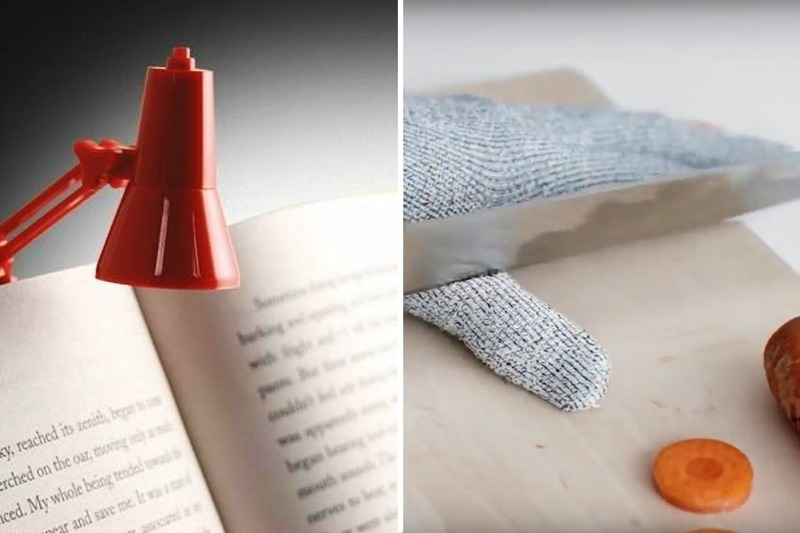 This tiny, battery-operated lamp/ bookmark will ensure you don’t have to give that up. It fits right on the top of your book and sheds light on that very important chapter that you’re about to begin. Amateur cooks will love this one. True, graters and knives don’t make for great friends, but there’s always a solution. Like these cut-proof gloves that will prevent gashes from onion-cutting or a risky household chore. Don’t get up to go to your office microwave. Save that trip with this electric lunchbox that will heat up your food while your favourite song on YouTube gets over. It’s completely safe to use and heats up your food evenly. Piping hot food, served right on your table. When chicken meets a truckload of garlic in your fridge, things are bound to get well, smelly. To prevent that whiff of ‘god, my fridge needs cleaning’, buy a fridge deodoriser. Bonus: it comes in the shape of your mother despising your bachelor ways of life.